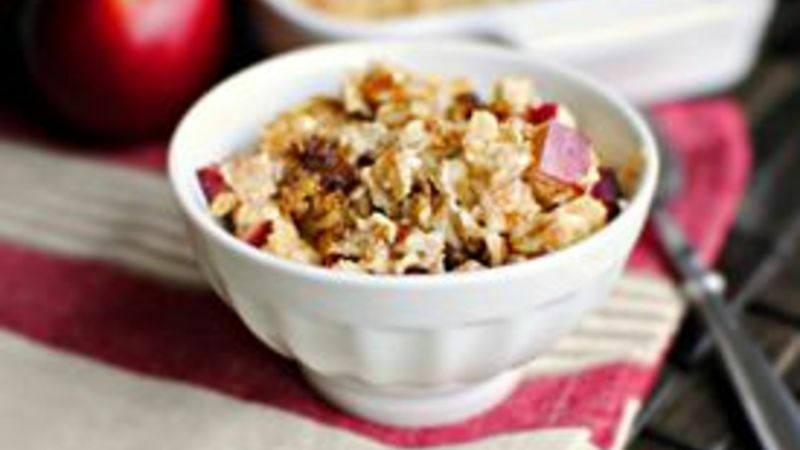 Mix together the apple, oats, raisins, sugar, cinnamon, nutmeg and salt. Stir in the melted butter and pour the mixture into an oven safe dish. Pour the two cups of milk over top and bake in a preheated 350°F oven for 25-30 minutes or until most of the milk is absorbed. Sprinkle with a little extra cinnamon, drizzle with a little bit of milk and serve!